One of the most important things that you can do at a conference, and maybe just in general, is to talk to people. 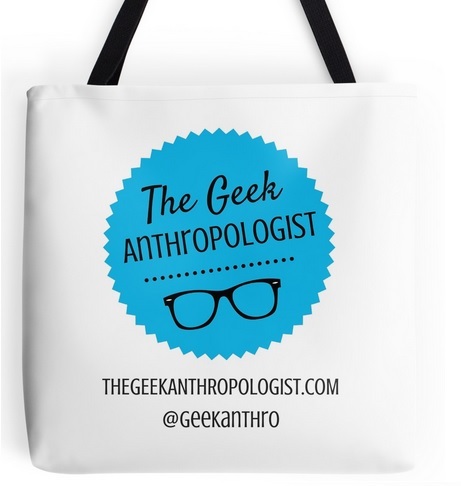 This year for the American Anthropological Association meeting in Washington, DC, we want to help geek anthropologists talk to other geek anthropologists. To that end, we’ll be having a Geek Anthropologist meetup on Wednesday at 8:30 PM at The Board Room, about a mile from the conference hotel. For those that want to walk over as a group, we’ll be meeting in the hotel lobby at 8:00 PM. Besides, “just” talking with people, we’ll also be networking geek style! The Board Room has a selection of board games that you can check out, Nick Mizer will be running a game of Dungeons & Dragons, and feel free to make some extra room in your suitcase so that you can bring your favorite game. We’ve also created a handy guide to AAA that highlights all of the presentations we could find on geek and geek-related topics. It’s easy for the great work that’s being done on the anthropology of geek cultures to be lost in the midst of so many sessions, so hopefully this points out a session that someone attending might have otherwise missed. If you’re not attending, you may still find some research you’re interested in, and where available we have contact information for the presenters. If you find the guide useful, please let us know! It is embedded below, but you can also download it here. My bus gets in at 8:30. I’m gonna try and head over before getting settled in. I look forward to meeting you! Great! We’ll be there! Look forward to it.